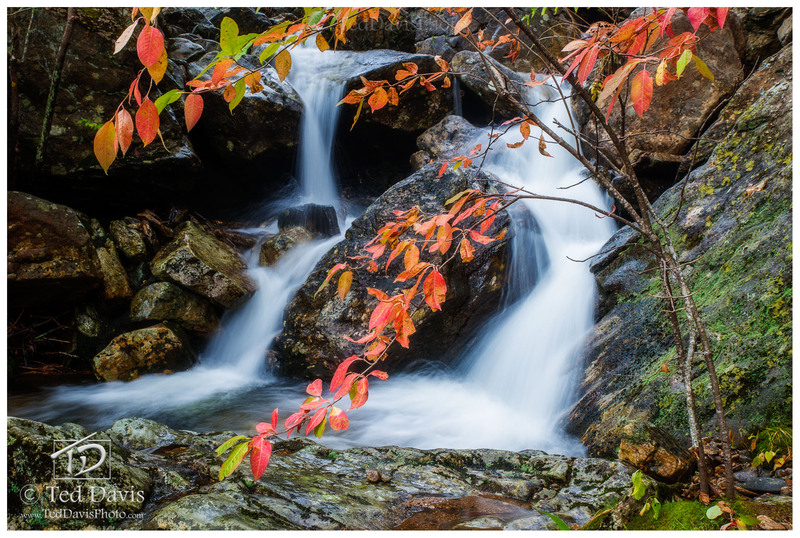 On a beautiful overcast day in late fall, I stumbled upon this small cascading waterfall. Hiking through the Smokey Mountains I had seen massive waterfalls, gorgeous landscapes, and beautiful vistas, but something about the small drops and nuances of this stream called to me. I had to frame this perfectly as to capture the beauty of a soft fall in the rolling mountains of south eastern USA. Laying along the wet rocks and focusing on the fantastically changed leaves of the overhanging tree, I have a shot that truly represents the beauty of the Smokey Mountains. Photo © copyright by Ted Davis.